Dana White might want to get his checkbook ready because he’s probably going to be handing out some bonuses. 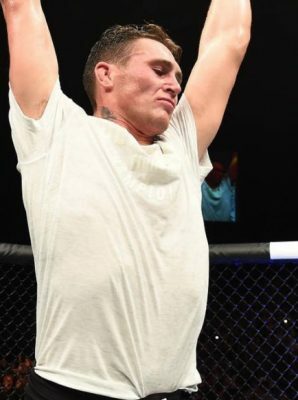 A lightweight matchup is currently in the works between Dustin Poirier and Justin Gaethje for a UFC card this spring at a still to be determined event. Sources close to the fight confirmed the news on Wednesday following an initial report from MMAJunkie. While the date for the matchup has not been confirmed, sources indicated that a date in April is most likely but no final decision has been made at this time. UFC officials haven’t made any announcement about the fight. Poirier has actually been campaigning for a rematch against Eddie Alvarez after their first fight last year ended in a no contest. While he’s not getting that matchup, Poirier will still get a top ranked opponent as he faces off with Gaethje, who just engaged in a ‘Fight of the Night’ with Alvarez this past December. Between the two of them, Poirier and Gaethje have combined for 10 total performance bonuses in the UFC and it’s likely they will both gun for another one when they meet later this year.